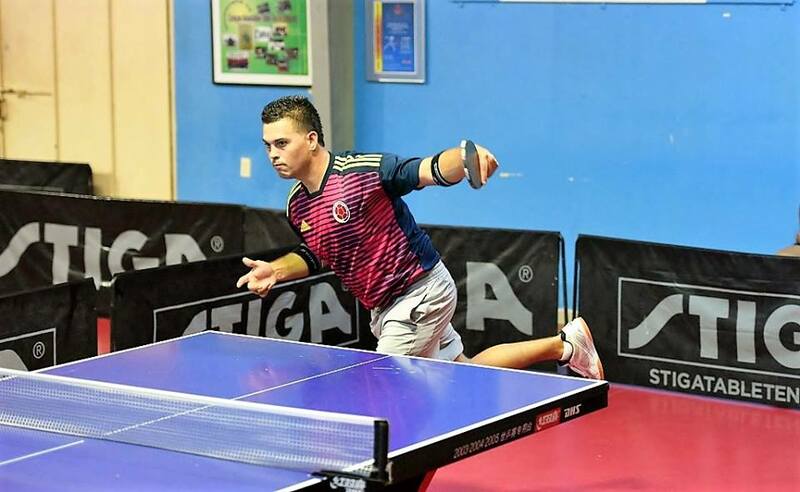 With a good occupation of 16 players the Curacao Table Tennis Federation started her first tournament of 2019. It was about the Donic tournament, which traditional is the first one the last 6 years. The preliminary round started with some surprises, whereby Devon Meilink was defeated by his team mate Corné Klopper 3-2 and Raymond Begina was washed away by Ravi Rajwani 3-0. Also to be mentioned was the titanic match between Eric Adamus and Wilfred Daantje . This game took almost 45 minutes and they went the full 5 sets with very tight scores. This took everything out of Daantje and he could not play his next match. Because of his loss against Klopper the sup champ of 2018 Devon Meilink finished second in his group and had to play against the champ and MVP of 2018 Dimitri Leon. A repeat of the Curacao National Championship 2018 final was next. Devon started very strong and took a remarkable lead of 2-0. But Dimitri showed again, why he is nowadays the best in the league. He fought back and won the next 3 sets of this best of 5. Klopper, Rajwani and Henny Metry won their quarter finals as well and passed over to the semifinals. In the semifinals Klopper lost again Metry, while Leon took care of Rajawani. In the final it was Dimitri Leon again who won this Donic Tournament just as last year by winning of Henny Metry 3-1.